There is widespread consensus that Sea buckthorn oil is a beneficial dietary supplement that can greatly improve the condition of skin hair and hair. While the cost of the oil is rather high, it is highly concentrated and can be used very sparingly. 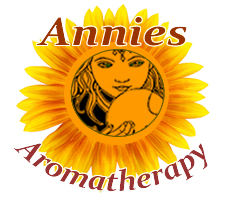 Preparation Methods & Dosage :The oil is used for both cosmetic and medicinal purposes. 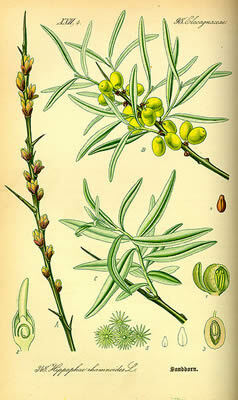 Sea buckthorn oil should be diluted when used in skin care formulations. Take 1 tablespoon or four to five 500 mg capsules daily as a dietary supplement. 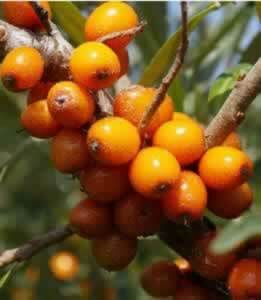 Sea Buckthorn Oil Side Effects: Sea Buckthorn oil in its undiluted and concentrated form will stain skin, surfaces, and clothing. Use caution, spread evenly and dilute. Use at room temperature. Sea Buckthorn oil is cold pressed from the whole, orange colored fruits of this native Chinese and Russian shrub. The sea buckthorn (unrelated to the Rhamnus family buckthorns), is very tolerant of salt in the air and soil, and grows abundantly near the seashore where there is less competition from other plants, also occurring in desert like habitats. The acidic berries are edible, though sour,and make a nutritious juice popular in Germany and Scandinavian countries.